In order to preserve working farms south of the Sound, we need fertile productive farmland. We also need a new generation of skilled farmers able to work the land. This issue becomes more critical as our current farmers, with an average age of 57, approach retirement. South of the Sound Community Farm Land Trust is dedicated to supporting local farmers, and permanently preserving local working farmland through a variety of means, including the Community Farm Land Trust model of farmland preservation. 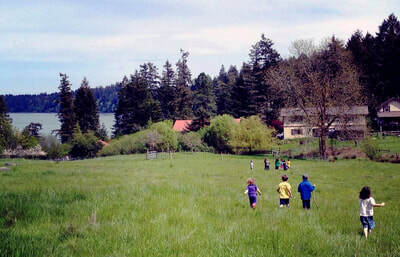 ​OYSTER BAY FARM: The first Agricultural Conservation Easement acquired by SSCFLT. This project not only removed the development rights on the farm but assures the farmland continues in active production and significantly reduces the cost for the next generations of farmers owning the land. South of the Sound Community Farm Land Trust in partnership with Kirsop Farm, Creekside Conservancy and Enterprise for Equity has permanently preserved a working farm in South Thurston County that includes prime farm soils, excellent farm infrastructure, and extensive salmon habitat. This farm has allowed Kirsop Farm to greatly expand operations. It is also home to a the Enterprise for Equity "farm incubator" new farmer education and training program. The farm serves as a demonstration project for how sustainable farming practices can thrive alongside important wildlife and salmon habitat restoration efforts. 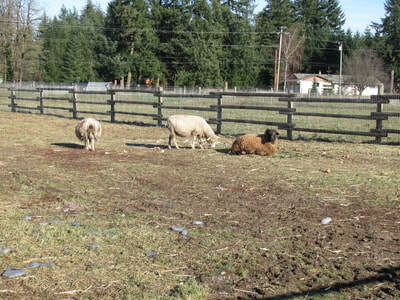 Major funding sources for the acquisition of Scatter Creek Community Farm & Conservancy include the Thurston County Conservation Futures program, Washington State Salmon Recovery Funding Board, Creekside Conservancy, and Kirsop Farms. In addition, The Community Foundation of South Puget Sound, Squaxin Island Tribe, Puyallup Tribe of Indians, Nisqually Indian Tribe, Tides Foundation, Olympia Food Co-op, and the membership of South of the Sound Community Farm Land Trust contributed toward making this community farm a reality. SSCFLT received crucially important discounted or pro bono professional assistance from Equity Trust, Trout Unlimited, Capitol Land Trust, PCC Farmland Trust, Pacific Groundwater Group, ADESA Consulting, Foster Pepper PLLC, and Jessica Jensen Law. This community farm is the result of a community effort. Thanks! 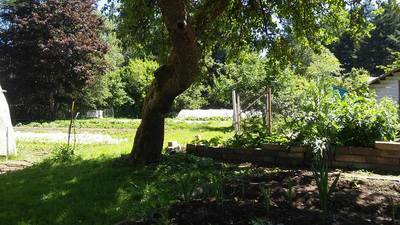 In 2013, SSCFLT received Thurston County Conservation Futures Program funds for an urban agriculture project to benefit "GRuB" (Garden Raised Bounty). GRuB is a local nonprofit that brings youth and people with low-incomes together to create empowering individual & community food solutions. In June 2015 SSCFLT permanently protected the GRuB farm. For several years, SSCFLT worked tirelessly in collaboration with Capitol Land Trust, PCC Farmland Trust, Thurston County, the South Sound office of The Nature Conservancy and the Washington Rivers Conservancy to preserve a large local dairy: the Black River Ranch. Although in the end there was not an ownership role for SSCFLT with respect to the Black River Ranch, our efforts to bring together and work with the coalition of nonprofit partners did result in this farm being permanently preserved, through an agricultural conservation easement and a wildlife conservation easement held by two of our nonprofit partners. We are proud of our role in preserving this farm, which is a success for our community.